Notes: The Legend of Zelda rules. Hi there! I am Phoenix Rider. I am one of the sysops, or administrators here on the Super Mario Wiki, and I'm here to help. If you have questions or concerns, drop me a line on my user talk page, or contact one of the other sysops if I'm not around. I've been playing video games since I was 5 years old. I've always been a huge Mario, Zelda, and Starfox fan. I'm very loyal to Nintendo and will continue to buy their products as long as they keep making the same great game series I know and love. I live on the East Coast of the United States and own an N64, a Gamecube, a Game Boy Advance(sold), a Game Boy Advance SP, a Nintendo DS, a Nintendo DS lite, and most recently, a Wii. I am a member of the elite Grammar Police. "To Serve and Correct", that's our motto. I will ruthlessly and mercilessly correct any and all grammatical errors with extreme prejudice, so if you would like to make my job a little easier, please proofread your edits to check for spelling and grammatical errors. The Grammar Police thanks you. One of my main goals on this wiki is to clean out random frivolous add-ins that people add without a second thought. Speculation of any sort should not belong here, and I will be cleaning out any I come across. But don't worry, this doesn't mean I don't add content to articles. I do, however, do my best to make the articles as good as they can be, and if that means trimming fluff, so be it. Remember: A long article is not necessarily a good one. I love to listen to music while surfing the Netz, so you can take a quick peek into my style by looking at the top of this page. I joined the Super Mario Wiki on August 5, 2006. I became a sysop on October 2, 2006. Often, I will abbreviate my edit summaries to give a brief description of what I am doing. For your convenience, the terms I use are listed below. More will be added if and when I remember them and/or they come into use. 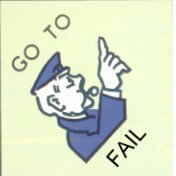 Go to Fail. Go directly to Fail. Do not pass the Main Page, do not collect 200 Contributions. , I'm watching you! Now don't get me angry, because if trouble, it won't be your . I'll at you as my ! Even if you're a , it'll still be a and you won't be . Messing with me won't . Of course, getting on my good side might help if you've got some of that . I'm not saying it'll work, though. It's kinda . If I still don't like you, don't complain, because I give no s. That's my , so . This user is an Iron Chef. This user is part of the Super Paper Mario PipeProject. MWPP This user is part of the Super Mario Wikify PipeProject. MWPP This user is part of the Wario World PipeProject. MWPP This user is part of the RPG Items & Badges PipeProject. This user is part of the Mario Kart PipeProject. Wiki This user is a Super Mario Wiki contributor. This is a personalized userbox. prog-1 This user can program a little. File:Controller example.png This user listens to video game music. File:Triforce small.png This user plays the The Legend of Zelda series. File:Steparrow.jpg This user plays Dance Dance Revolution and thinks that DDR: Mario Mix was a rip-off. File:Wii small.jpg The Wii came out on this user's birthday! File:N64 small.jpg This user still plays the Nintendo 64.
fan-3 This user thinks that Mario & Luigi: Superstar Saga is the best videogame ever made. fan-3 This user's favorite videogame character is Boo. 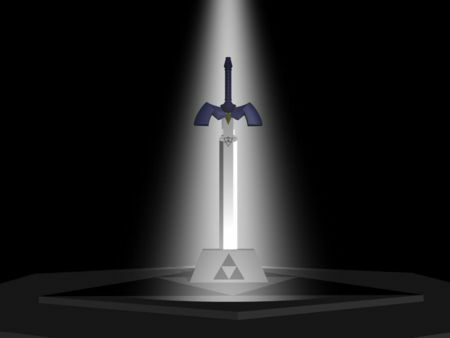 fan-3 This user thinks that The Legend of Zelda series is the best videogame series ever established. fan-0 This user dislikes the video game character Wario. File:Controller example minus.png This user never got to truly play a SNES. File:Controller example minus.png This user never got to truly play a NES, (either). 4/16 This user believes we should never forget April 16. The following goals can never be crossed out. Fix grammatical and spelling errors on the Wiki. This page was last edited on October 9, 2010, at 22:59.